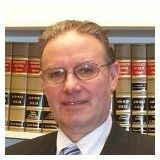 Justia Lawyer Directory Massachusetts Essex County North Andover Stephen Neyman Esq. Q. Does everyone get a shot at bail if they are arrested? A: You have the right to a bail hearing after you are arrested. Q. Looking for advise on 8 counts of distribution 1st time offense. Am looking for an attorney south shore area. A: We do a lot of work in that area. What court are you in. Also, you can contact me privately by email or call my office. Q. I got caught shoplifting days after the offence,I returned the item to the police department,what should I expect? A: You can expect to receive a summons in the mail for either a clerk magistrate hearing or for arraignment. You might also receive a civil demand letter. The best thing you can do to protect yourself is get a lawyer as soon as you can. Let me know if you have any further questions. Good luck. A: The short answer is yes. The history of defaults likely concerned the judge who set the bail, thus the reason for the GPS and home confinement. As to the bail, seriousness of the offense, criminal history, history of defaults, ability to pay, safety to the community are just some factors judges consider when setting bail. I hope this answers your questions. Q. I am in default in 4 cases from 1985 one of the lawyers here suggested I go to the court with an attorney. A: You could be arrested. If you are in default judges certainly are within their right to hold you. However, I strongly advise you to go into court as soon as you can to address this issue. If you do it that way it is much better than if you get picked up by the police. Besides, you have an obligation to the court and need to honor it. You will probably be appointed a lawyer for this as well. Good luck. Q. I applied to a ride share company and they ran a CORI on me. I failed for unresolved cases. A: Unresolved cases usually mean that you are in default and that the cases are still open. You will need to go into that court, remove the defaults and resolve the cases. I strongly advise you to have a lawyer with you. Cases that are that old are often difficult for the prosecution to prove. However, some judges might give you a hard time for failing to honor your court obligations. I hope this answers your question. Good luck. Q. I am charged with DV assault. Only thing is I made the 911 call to leave the house so it would not happen. A: You making 911 call might work to your benefit. The audio might have her rant recorded and she might be recorded saying things that counter her complaint that you hit her. Having a subsequent affidavit inconsistent with her report to the police should also help your case. As to getting your job back, you need to contact an employment lawyer. The restraining order will not be dropped simply because of her inconsistencies. However, this can give you grounds to go back into court and move to get the restraining order vacated.